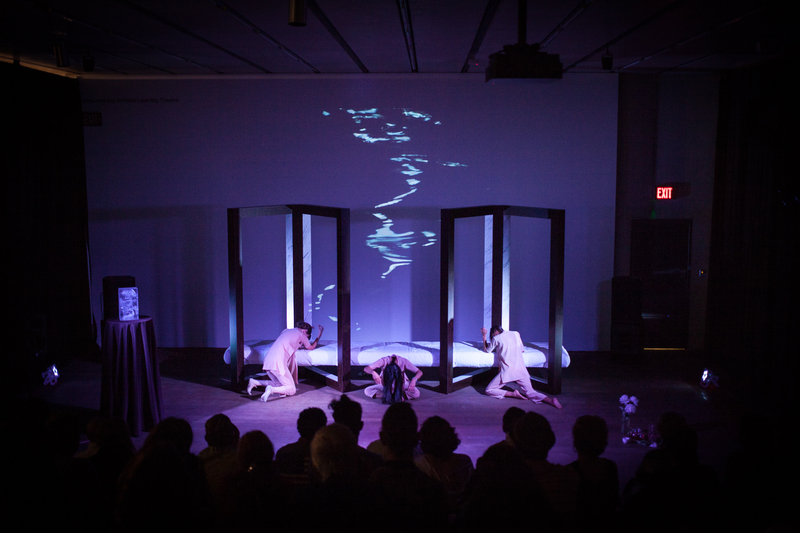 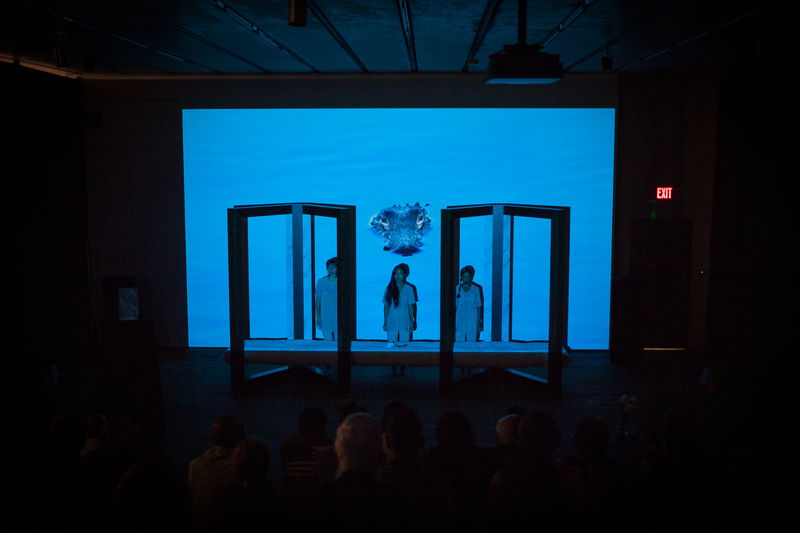 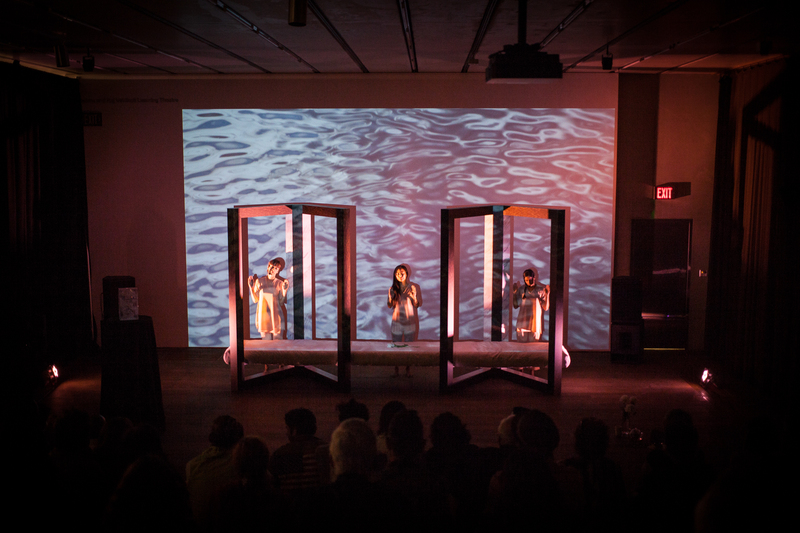 Heavy Flow features three live performers, who use gesture and vocalizations to communicate a personal and at times ecstatic relationship to their own physiology and to society. 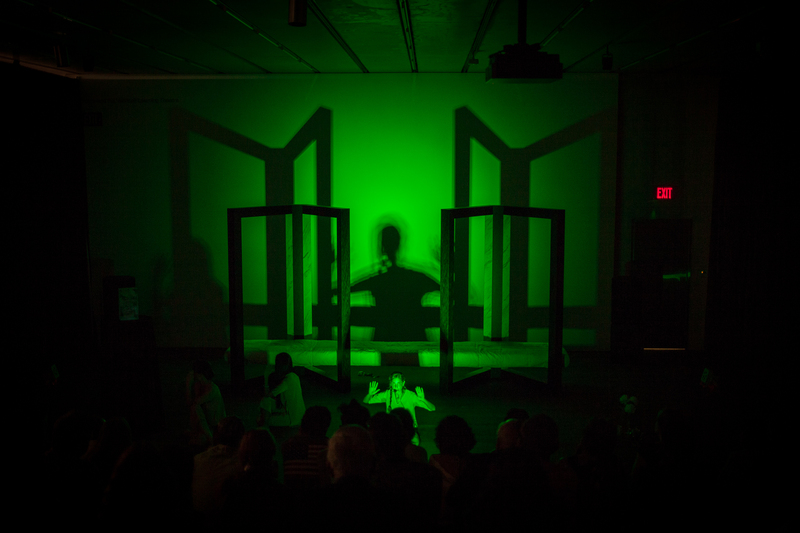 ICE, (a talking block of artificial ice) plays the role of the show’s host. 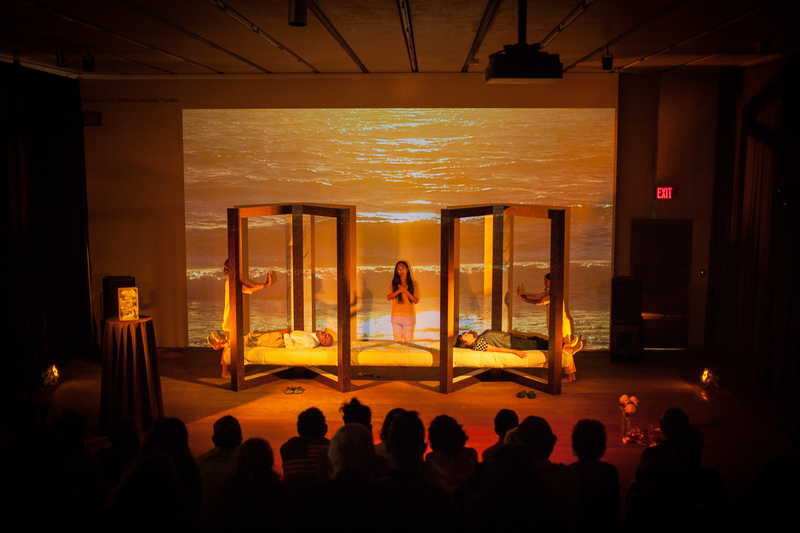 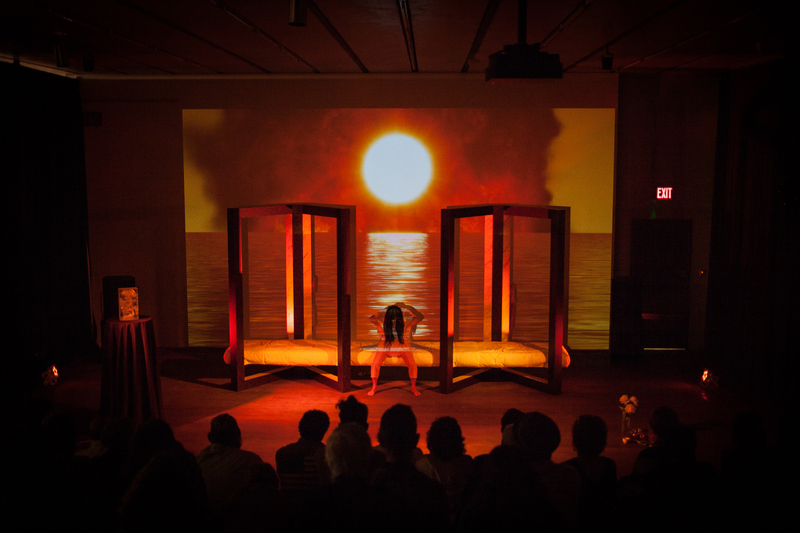 The main set piece is a massage chamber built for four, which evokes contemporary Miami architecture and serves as an experiment in wellness design.